This desirable third floor loft at the stunning Porter 156 development shows just how special this property truly is. With two levels of living space the owners have transformed the raw loft space in to a sophisticated and contemporary home. Downstairs is open, sunny and has an incredible deep layout with all the best factory features from this 1912 warehouse combined with the simple and spectacular amenities of 2014. 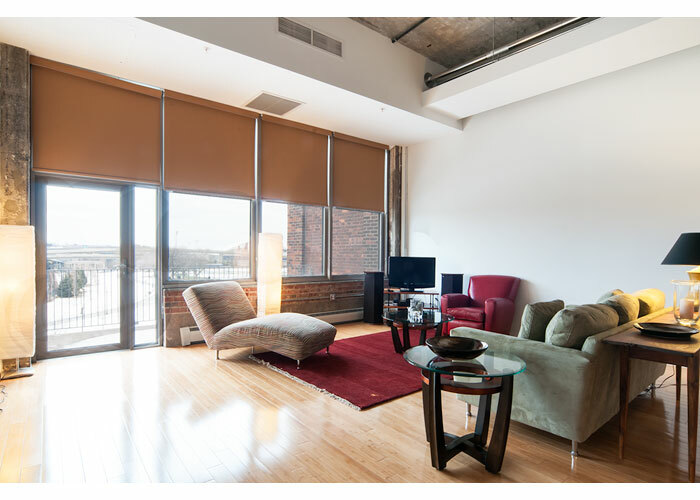 Bamboo floors, 18 foot ceilings, exposed beams and brick offers everything loft living should be. The stainless steel kitchen, laundry hook-up, private deck and garage parking are what is on everyone’s wish list making this not only one of the best in the building, but in the entire neighborhood! The addition of the second bathroom on the upper level makes this master suite private and oh so practical. With sweeping park views and one of the best on-site management companies in town, this place is quite the find! Join all the savvy buyers who have already discovered the unique opportunity that East Boston offers from its ultra-convenient location, quick trip to Downtown and all the amazing changes that have emerged providing some of the best new restaurants, parks, shops and so much more!